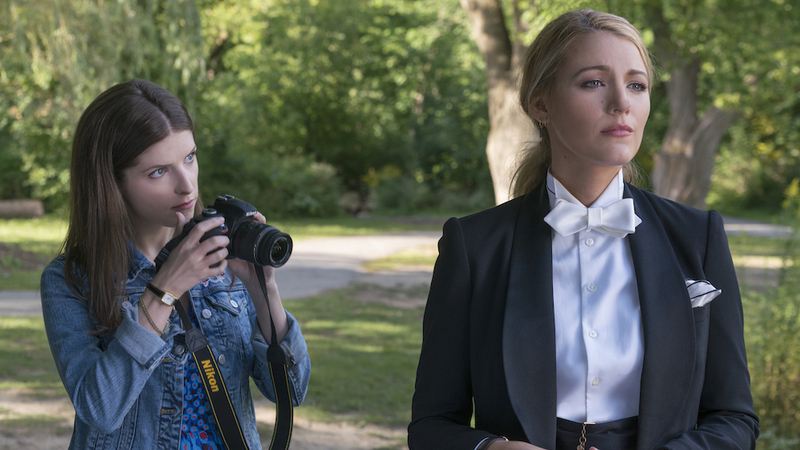 A Simple Favor is a mystery film with a sleek aesthetic and a windy plot saturated with plot twists that charge forward to a cat-on-mouse-on-mouse game of a final act. With Paul Feig behind the wheel, it cannot help but also be a riotously overt dark comedy with full on laugh lines punctuating most moments of purported tension. It is a film that aims to be both thrilling and funny, which turns out to not be entirely either. A Simple Favor is a film that revels in its sheer messiness, like a child who spills his milk with a smile on his face just to get attention. The plot begins fairly simply. Stephanie Smothers (Anna Kendrick) is universally considered a saint, although everyone resents her for it. She is a full time mother of one, a full time internet vlogger, and still somehow finds time to volunteer for every school function. After befriending the elusive Emily Nelson (Blake Lively), Stephanie inadvertently finds herself picking up a part-time job watching Emily’s child while Emily disappears to Miami. Disappears and never comes back. Emily lives in the lap of luxury, but it isn’t enough for her. Hers is a martini-sipping lifestyle (more emphasis on the martini than the sipping). When Emily goes missing, Stephanie finds herself immersed in this upper crust lifestyle as she attempts to track Emily down. This is the framework of the plot. Stitched to this framework are numerous plot points that continually complicate the narrative to the point where any twist is surprising, merely because there is too much going on to coherently predict an outcome. This constantly fluctuating narrative yields a breezy pace. There is so much craziness on screen that one watches in dumbfounded glee just to see if it can get any crazier. This may not be the best solution to the issue of pacing, but it hooked me. It hooked me on one question: is A Simple Favor a dumpster fire or a cult masterpiece? I’m still grappling with the answer, but I think the film lands somewhere in the middle. The kitschy humor that interrupts the furious plotting is often more baffling than overtly funny, but it helps give the film an identity. Jessica Sharzer’s script and Feig’s direction come together on this. The humor is of utmost importance, even if it doesn’t fit tonally. And the mystery plotting keeps chugging toward insanity, allowing the climax to be a campy, bonkers experience that would be awful if it didn’t fit perfectly into the oscillating tone. A dumpster fire might be an apt description of A Simple Favor, but the connotation is less negative than you might expect. It’s the sort of confined disaster that is impossible to look away from. It is slightly other-worldly to look at at face value, but it is not entirely off-putting. It’s a romp, albeit a confounding one. The acting is worthy of note in this regard. To pull off the crazy tone without falling on one’s face is no easy feat. Lively, Kendrick, and Henry Golding make a compelling trio. And a hilarious brief appearance from Rupert Friend doesn’t hurt any. A Simple Favor is not a good film, per se. In some instances, it is barely coherent. But it is an experience, one that kept me rapt until the very end. And that counts for something.